This amazing time warp copy comes from one careful owner, who was actually a Postman in Los Angeles. When his job took him, as it often did, to local record stores, he used to purchase not one but two copies of every LP. One copy he kept sealed for safety and one copy he used to play. We were just lucky to be securing rarities for your good selves in Los Angeles at the same time as this gentleman decided to sell his sealed copies. Most of these were purchased at the time of release, so are free of promo holes, deletion punches or notches and remain just as you would have pulled them out of the racks had you been there yourself all those years ago. As good as it can possibly get! 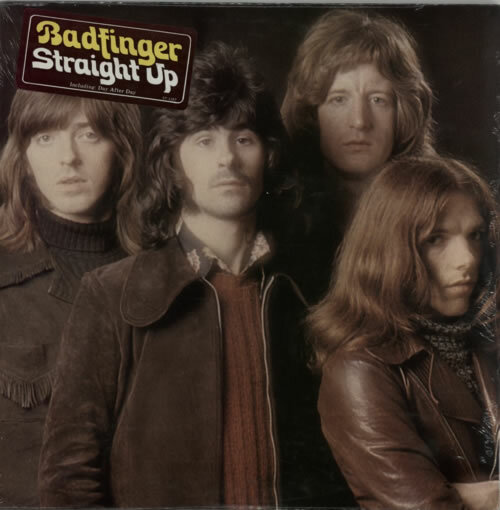 Product Information Badfinger Straight Up - Sealed USA vinyl LP album (LP record).